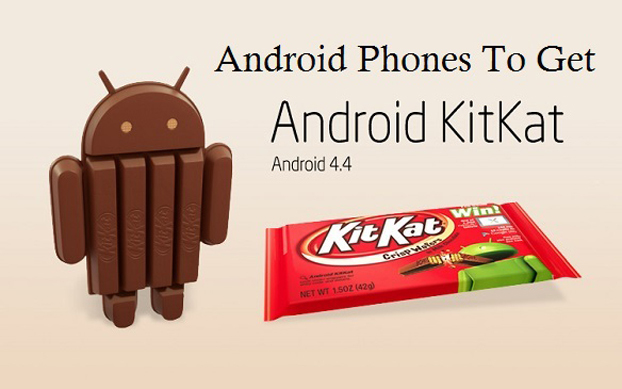 The Android 4.4 KitKat version has been recently launched and is soon to become official. Google plans on launching it with the next version of Nexus, the Nexus 5 device. But users are enthusiast to know whether the 4.4 update would be coming to their device or not. If you own a recently launched high-end device, you may easily expect about receiving the KitKat update. But for the earlier devices, you will have to wait to see whether the manufacturer is deciding to send the update and whether the device hardware you own will support it or not. Well, for now have a check on the list below on the information we have so far from the sources on the devices which are going to get the next big version of Android OS. But Sony Xperia Z1 is still stuck with the Android 4.2 version and hasn’t got the 4.3 update yet. But if Sony plans to skip that and directly adopt 4.4 KitKat versions, it will be a relief for the users waiting for the update. Remember that this is just the initial list and hence flexible. We will keep on updating this page every time we get some actual confirmation or leak from the sources. Till them let us know which Android phone you own and we will let you know whether the KitKat update would be available for your smartphone.